The History of the French Indian War (1754-1763) aka the Seven Years War was the final conflict during the French and Indian Wars, including details of the cause, reason, and summary. The dates and years of the French Indian war - when the war started and when the conflict ended. Interesting facts and information about the significance, specific events and famous leaders of the French Indian War / Seven Years War. The combatants of the French Indian War were the French & and their Indian allies and the British and their Native Indian allies. French Indian War Summary and Definition: The French Indian War (1754-1763) was the fourth and final series of conflicts in the French and Indian Wars. It was the North American counterpart of the Seven Years War that was fought in Europe between France and Austria. The Seven Years in Europe had been caused by the commercial and colonial rivalry between Britain and France and the conflict in Germany between Prussia and Austria. The North American dispute was whether the upper Ohio River valley was a part of the British empire or part of the French Empire. The population of the disputed area was predominantly occupied by British settlers but the French had made the greatest inroads into the exploration, trade, and Indian alliances of the region. The conflict known as the French and Indian Wars ended with the Treaty of Paris in 1763 during which France ceded its North American territories to Great Britain. So ended the series of bloody conflicts known generically as the French and Indian Wars. For additional Facts and info refer to the French in America. This short History Timeline of the Seven Years War provides fast facts and information about the history, years & dates, key events and famous people who fought in the French Indian War. 1754 1754 - 1763: The French Indian War (1754-1763) is won by Great Britain. France gives England all French territory east of the Mississippi River, except New Orleans. The Spanish give up Florida to the British. 1754 May 1754: The Battle of Jumonville Glen. 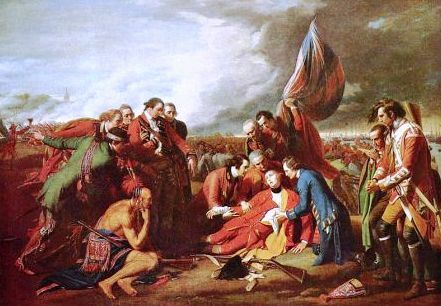 In 1754 the French gained a victory and ousted a British force, including a colonial militia under the young Colonel George Washington, at Fort Necessity, Pennsylvania. 1758 1758 Great Britain increased support to its troops based in North America and won victories at Louisbourg, Fort Frontenac in the Great Lakes region, and Fort Duquesne in Pittsburgh. Although Britain was victorious the French and Indian Wars British had caused the 'mother country' to incur a massive war debt. The British efforts to reduce the debt included reversing their policy of Salutary Neglect that ultimately led to insurrection in the colonies, the Boston Tea Party, the American Revolution and the Declaration of Independence. French Indian / Seven Years War. Discover the key years, famous people and events of the French Indian War together with the causes and effects of the war, conflict and battle. Pictures have been include wherever possible which show the battlefield, clothing and weapons of the Native Indian tribes and their leaders who fought in the French Indian War. The illustrated text provides a really useful educational resource for kids and children of all ages. We have included pictures and videos to accompany the main topic of this section - The French Indian War. The videos enable fast access to the images, paintings and pictures together with the information and the many facts featured on this subject of the Seven Years / French Indian War.